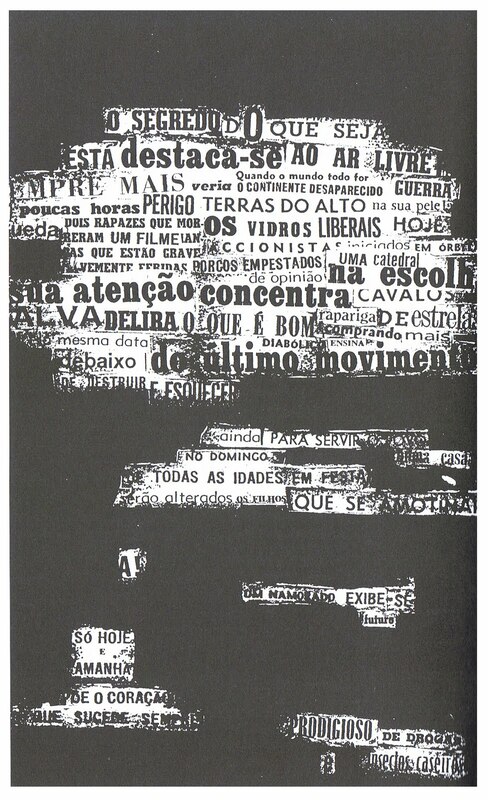 The António Aragão “Found Poem”(1964) is one of these poems with various versions created with a collage of newspaper headlines and titles cutouts on a sheet of paper. Inspired, in part, by André Breton surrealistic methods of automatic writing, the poem appropriates the universe of news daily published in newspapers and subverts its impartial language order proposing a subjective and creative journalistic language. “Found Poem” is indeed a poetic procedure, a composition method which the reader becomes an editor assembling printed news clippings in newspapers. It is a creative personal reaction on the massified media speech; on this point, the poem is almost a Guy Debord détournement. 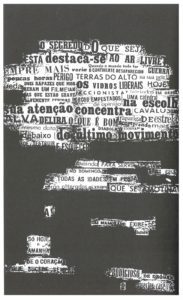 Just thinking on the newspapers support changing with the digital media introduction, Rui Torres proposed an Aragão´s “Found Poem” digital reinterpretation. The proposal, made by Nuno F. Ferreira PHP programming and Tarbel Jared Actionscript code, is the daily update of leading news headlines of some online newspapers through RSS resources. To interact with the digital poem, the interactor must only select the online journal icon on the button of the screen where the information will be extracted and wait for the program execution. Are available to the reader newspapers in Portuguese, Spanish and English. In fact, the poem results an automatic style and the interactor will find limits to realize new headlines arrangements. Do not expect also, some sense in the the verses ordering. 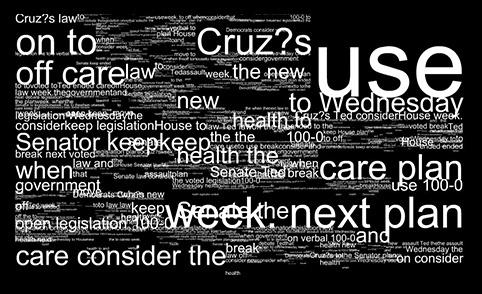 The poem is casually spatialized according to the configuration determined by the programming, however, the typographical landscape shown has a curious similarity with Cloud Tag common in blogs and also with the Mark America recent work “Cloud Banks” both showing the most prominent words that determines a semantic content overview published on the web. 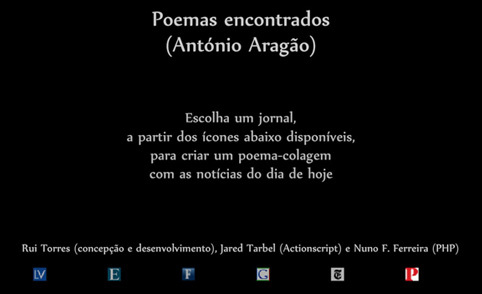 The digital version of António Aragão’s “Found Poem” renews the experimental poetic language spirit. Scissors, printed newspapers and paper sheets were replaced by editing softwares shortcuts, online newspapers and graphical user interface screens. 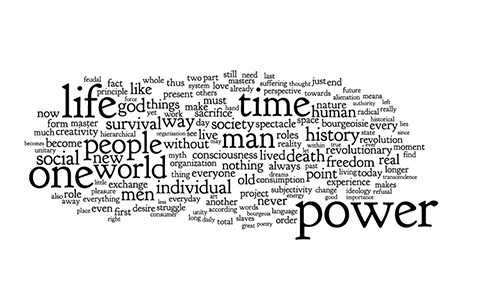 The written techniques were changing, but the hidden messages reading between the lines, which expands the meaning of the text still remains as one possible human being revolutionary attitude.